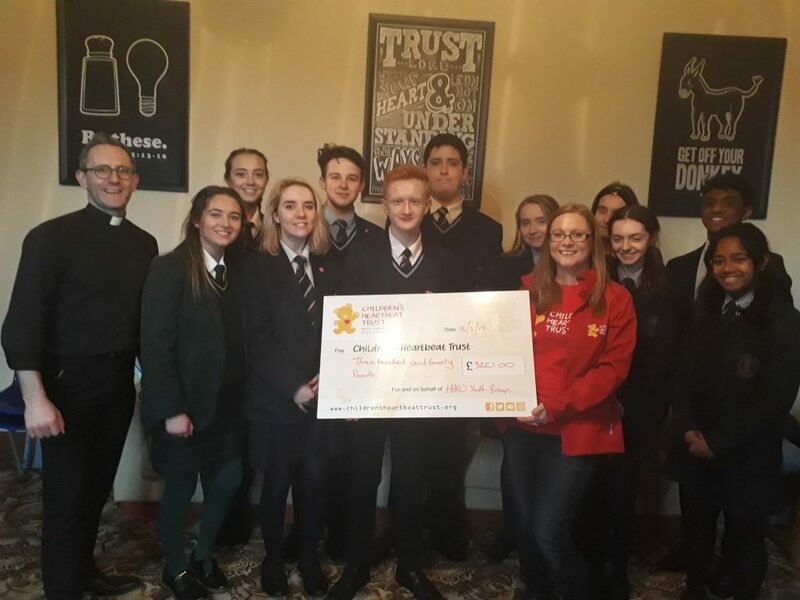 Halo Youth Group from Dungannon present Lynn with a cheque for £320. They held a charity coffee morning to raise funds for our work. Thankyou for thinking of us. 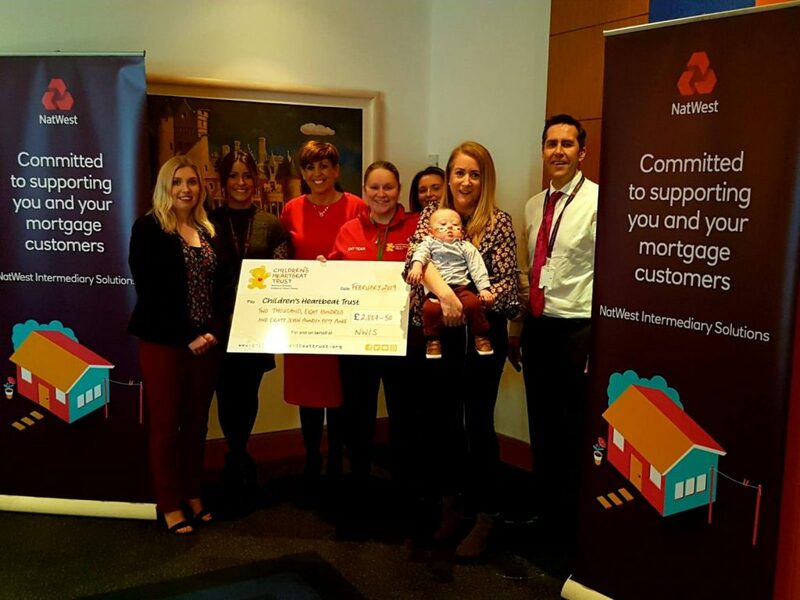 Shauna Cassisdy and little Conor are pictured with Alison receiving a cheque from Natwest totally £2,887.50. Thank you to all employees for their generosity to our work. 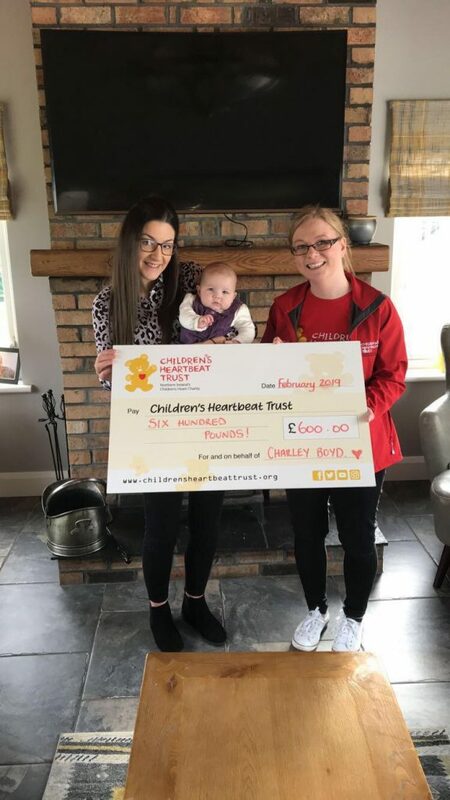 Kathryn and little Charley are pictured presenting Lynn with a cheque for £600. 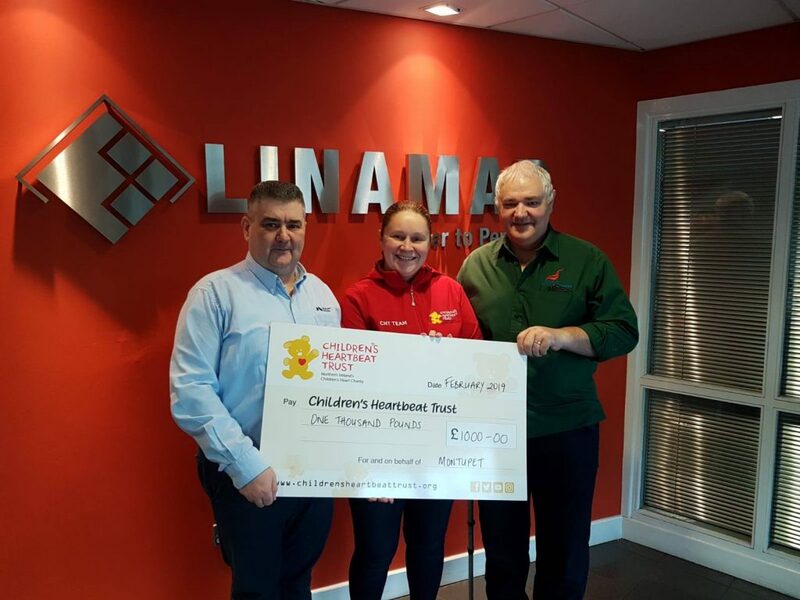 The money was raised in lieu of birthday presents for Kathryn earlier this year. Thank you for your generous support! 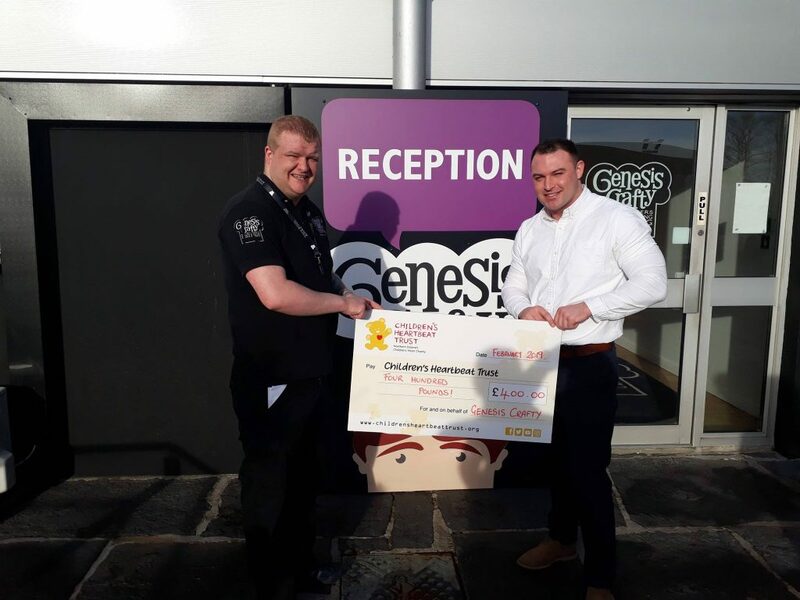 Staff from Genesis Crafty are pictured with a cheque for £400. The staff raised this money for the charity by holding a christmas jumper day and raffle. We were delghted to receive their support. 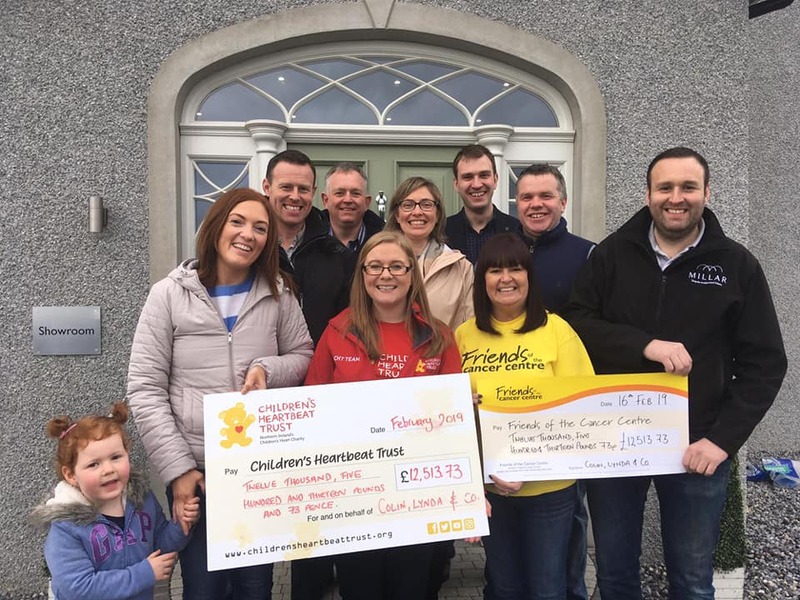 Pictured are the Millar Family and friends presenting cheques to Childrens Heartbeat Trust and Friends of the Cancer Centre totally £25,027.46. 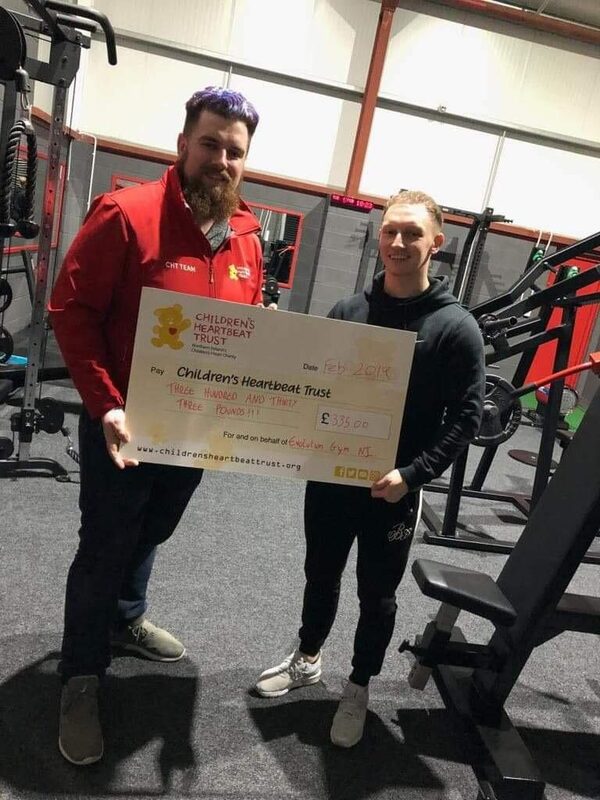 This incredible amount of money was raised from a White Collar Boxing event named ‘HeartBeat Cancer’ held at Millar Woodcraft Ltd, Randalstown in November 2018. Staff from Montupet present Alison with a cheque for £1000. They held a charity jumper day and raffle with staff to raise funds for our work. Thank you for your generous donation. 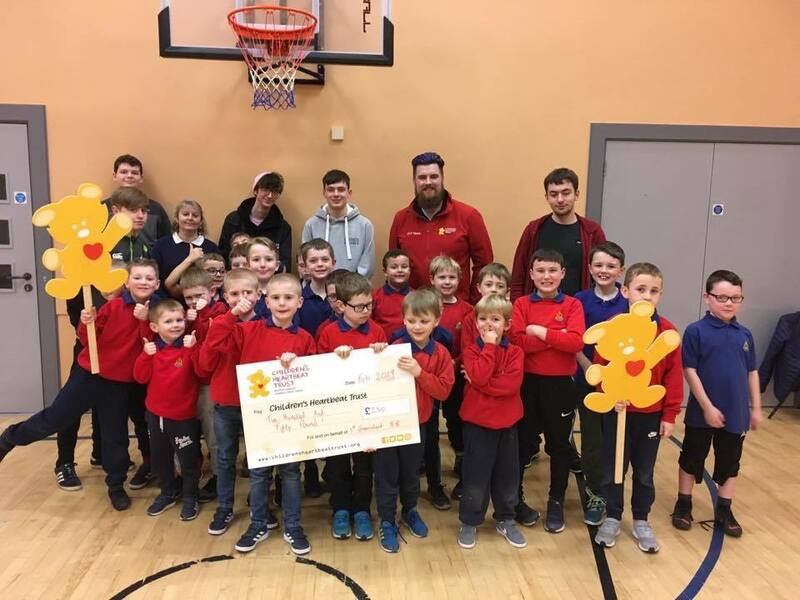 Pictured are 1st Greenisland Anchor Boys who did a sponsored games night and raised £250. The Anchor Boys have selected CHT as their chosen charity to support this year. Thank you for your wonderful support. 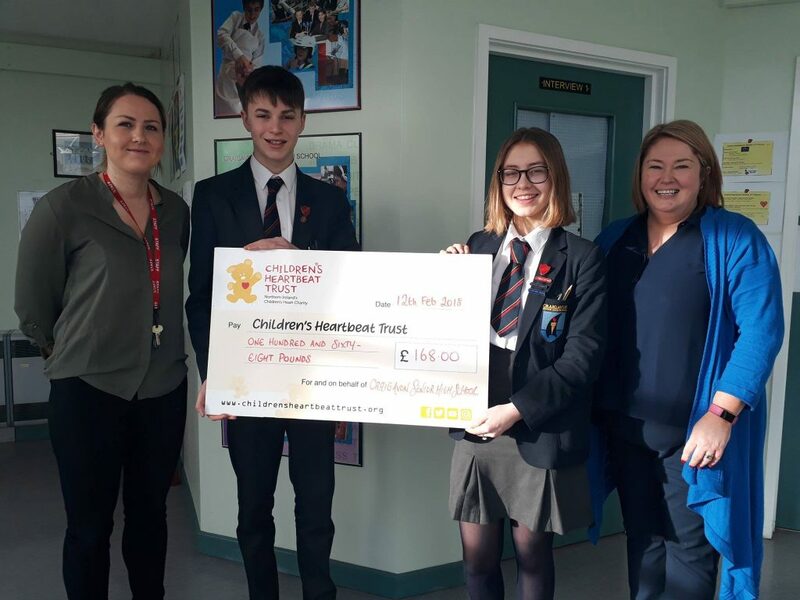 Pupils and staff from Craigavon Senior High present a cheque for £168.00. Funds were raised by the charity club selling christmas candy canes! Thank you for supporting our work! 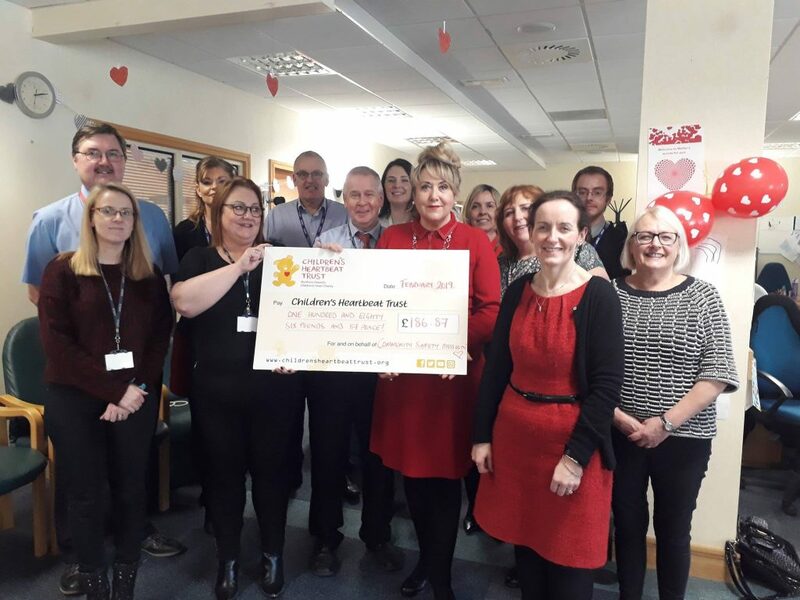 Staff from Community Safety, Dept of Justice recently held a staff valentines quiz and raised £186.87. They had a brilliant afternoon and we are delighted to have had their support. Well done! 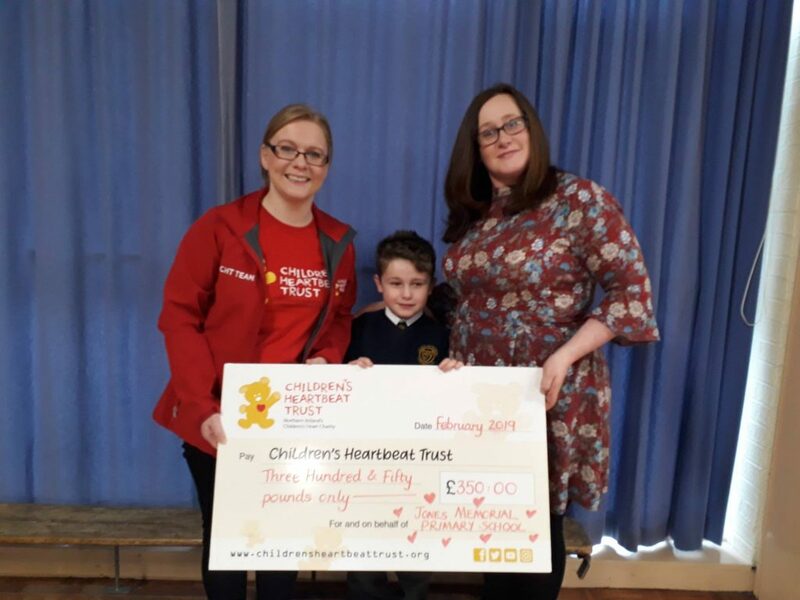 Jennifer and Alfie Keys present £350 to Lynn on behalf of Jones Memorial Primary School. They held a carol service at christmas and ask for donations to the charity. Thank you! 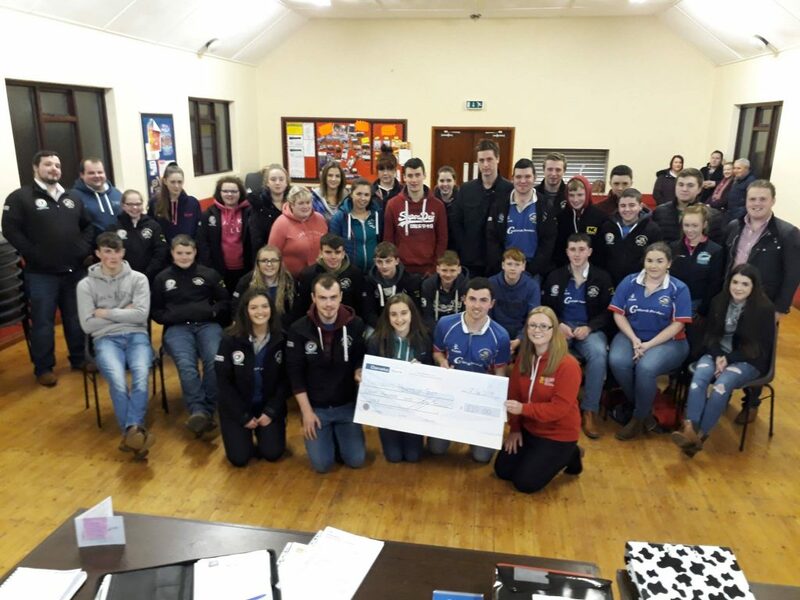 Members of Collone YFC held a charity tractor run last year in aid of CHT. Members are pictured at a recent club meeting presenting £810 to Lynn from the charity. Thank you for your wonderful support. 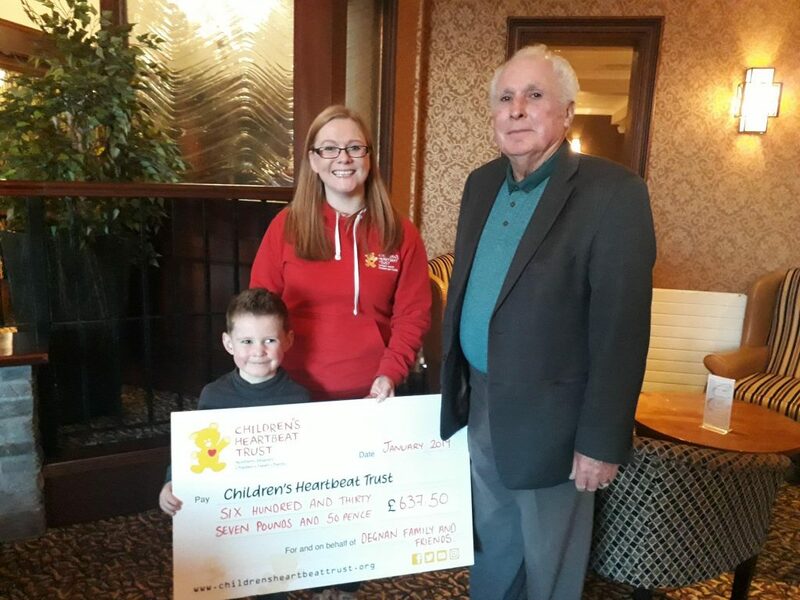 Joe Degnan and his grandfather Billy present Lynn from Children’s Heartbeat Trust with a cheque for £637.50. The money was raised in lieu of presents for Billy’s 80th Birthday. Huge thank you to everyone who donated. 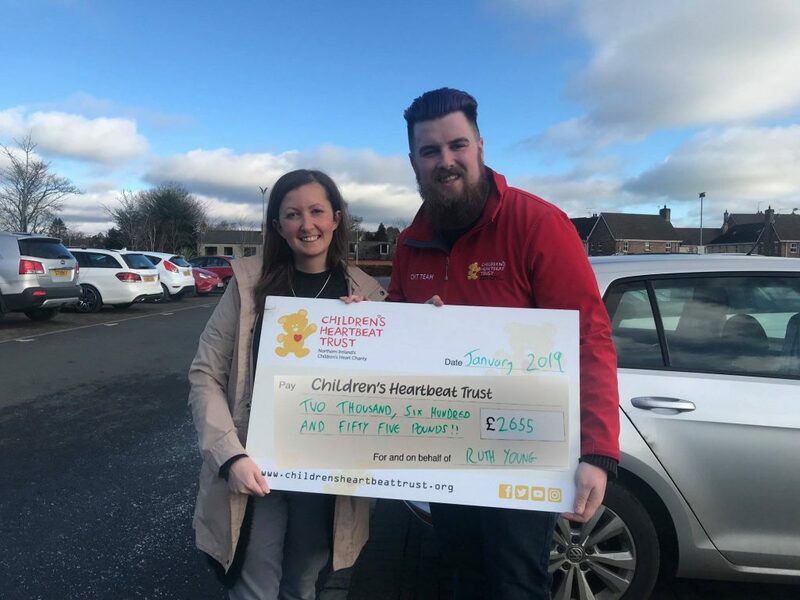 Ruth Young is pictured presenting a cheque for £2,655 to David our Youth and Family Support Worker. 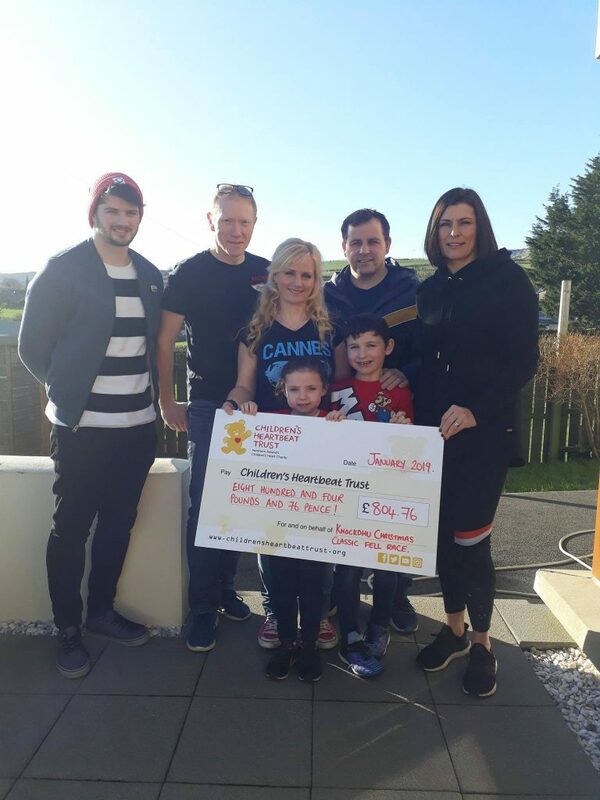 Ruth braved the skies to jump 10,000 feet from a plane in our Christmas Skydive to raise this wonderful amount for our work. 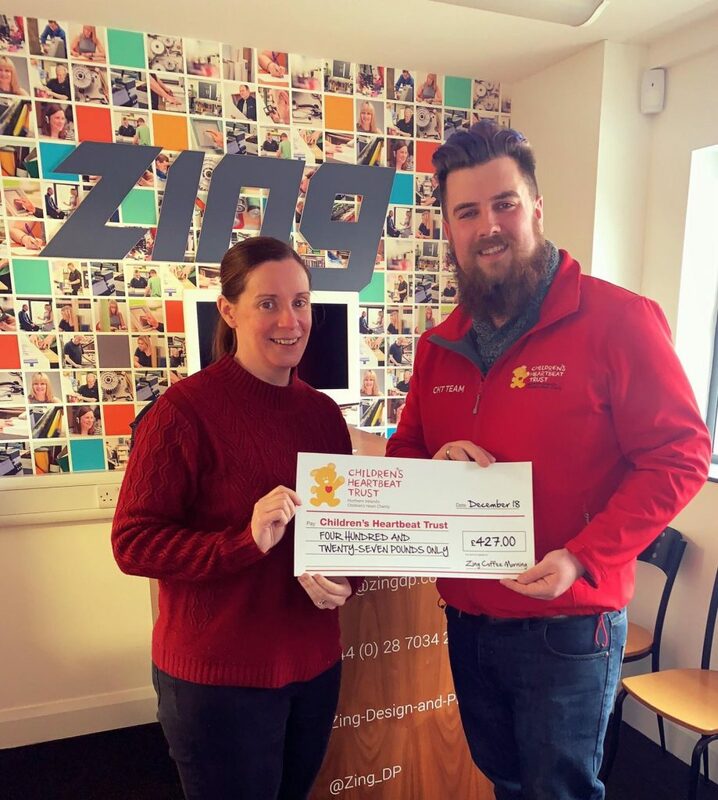 Aileen Convery presents David with a cheque for £427on behalf of Zing Design and Print, Coleraine. They held a charity coffee morning in aid of our work. Thank you to everyone who baked and donated on the day! 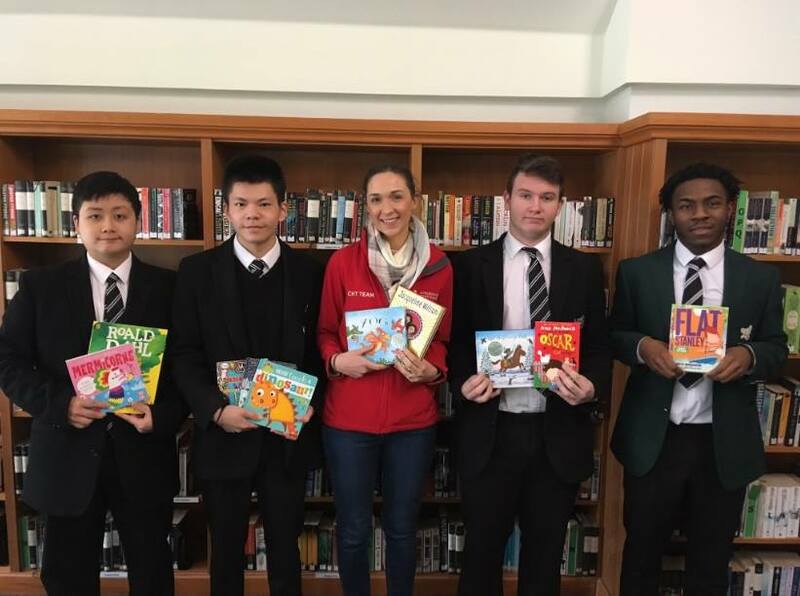 Pictured is students from Campbell College presenting books to Cathy for use on Clark Clinic.  Thank you so much for your kind donations. 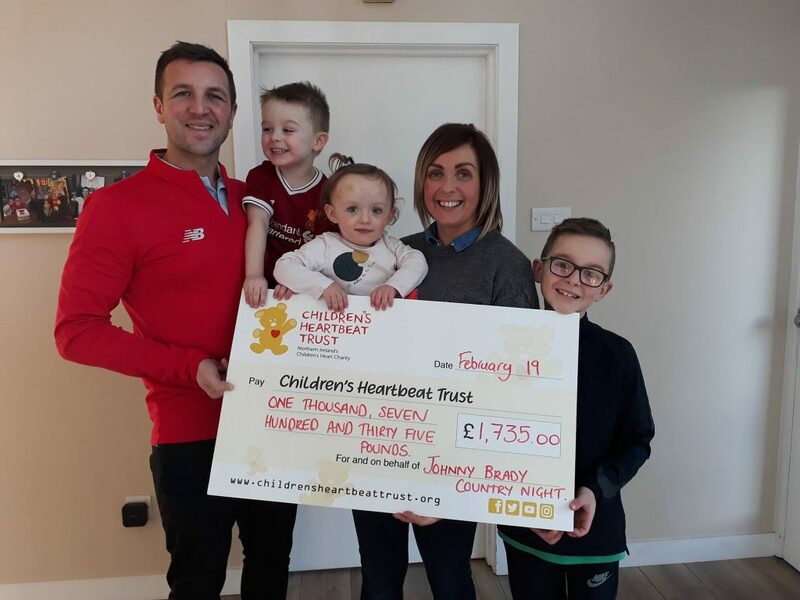 Race organisers, Stephen, Dale, Laura, Gareth and Hazel are pictured with a cheque for Children’s Heartbeat Trust totally £804.76. Also photographed is little Rosie who has been supported by the charity and her brother PJ. The money was raised from the annual Knockdhu Christmas Fell Race. Thank you to the organisers and everyone who took part. Killylea Tractor Run held their annual Tractor Run for CHT, Air Ambulance and NI Children’s Hospice. Organisers were delighted to present each charity with a cheque for £1000. Thank you for your continued support to our work. 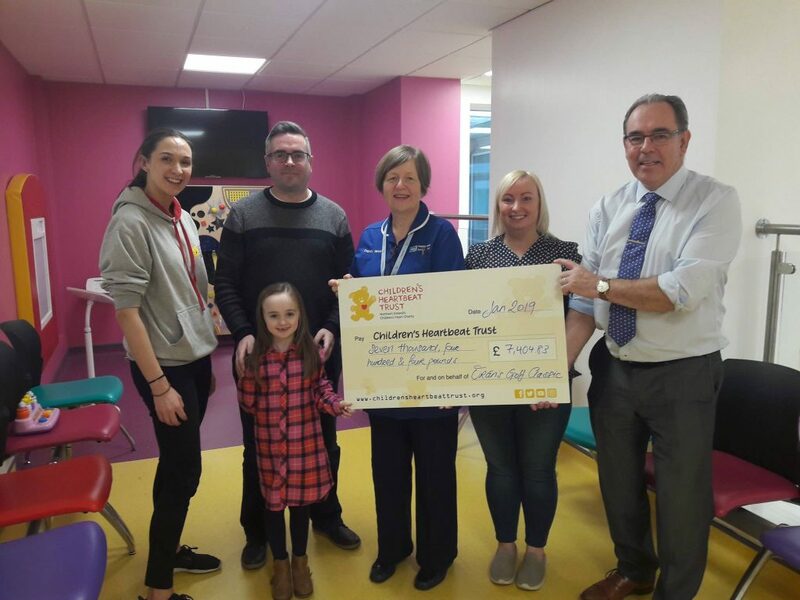 Aisling, Barry and Molly Creaney present Professor Frank Casey, Cathy and Izzy from Clark Clinic with a cheque for £7,404.83. The funds were raised from Oran’s Golf Classic. 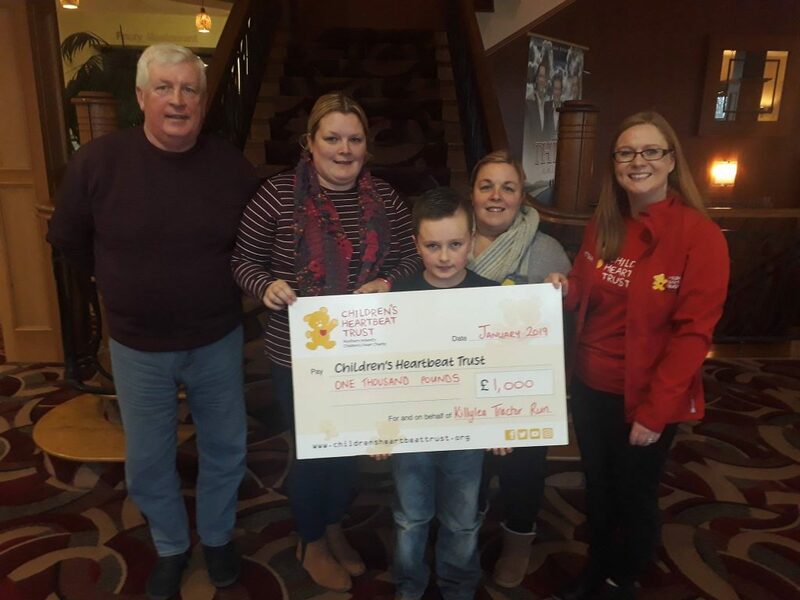 The families annual golf day held in memory of their son Oran. Thank you for your continued support! 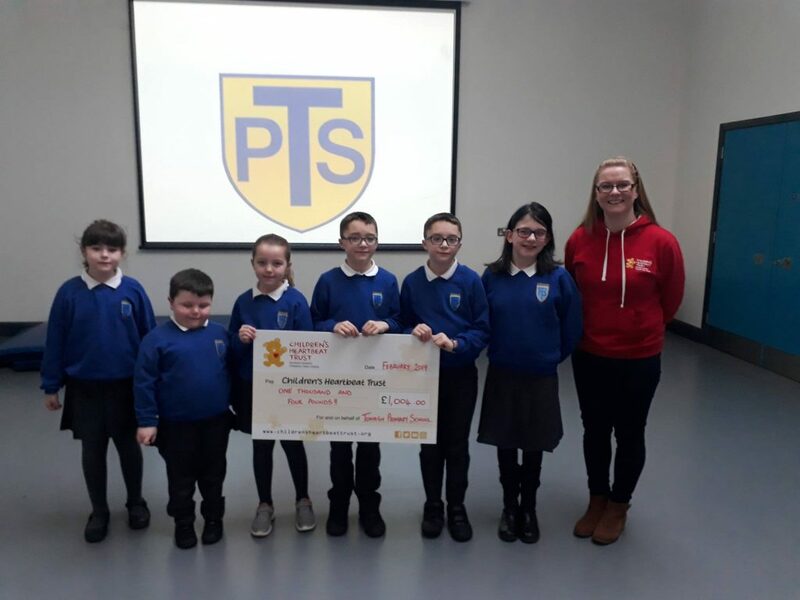 Pupils from Tonagh Primary School in Lisburn present Lynn with a cheque for £1,004. The school held a sponsored walk in aid of the British Heart Foundation and Children’s Heartbeat Trust. Thank you to all the pupils, staff and parents for their wonderful support. 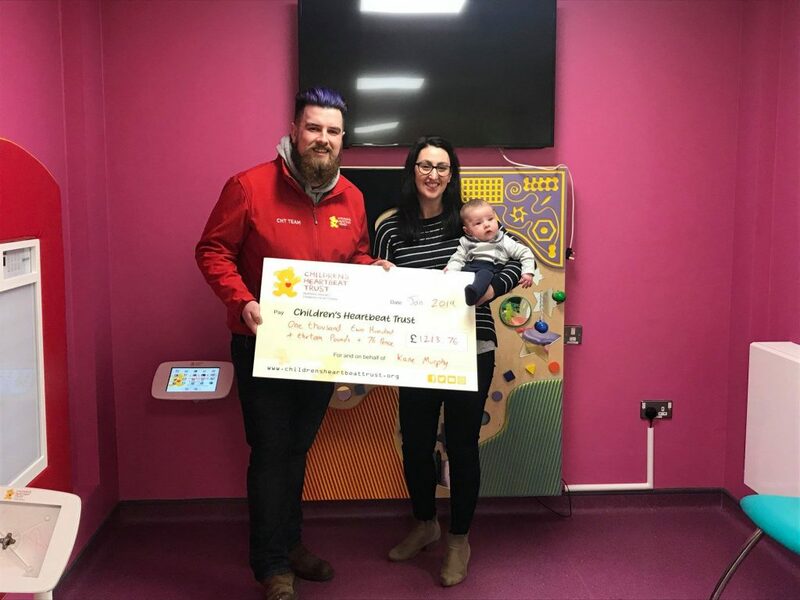 David is pictured with Naomi and little Kane receiving a cheque for £1,213.76. Naomi took part in the Santa Dash at Christmas to raise this great amount for our work!